First time pass with only 2 faults! Huge congratulations to Robert Beer who went and smashed his Driving Test first time with only 2 faults after. 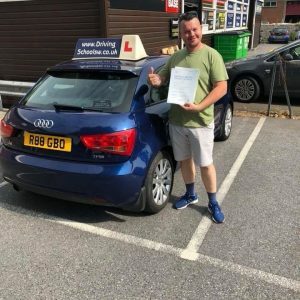 Driving Lessons in Paignton with The Driving School sw.